Usually patients as soon as they hear that they must go through the procedure of EGD (fibrogastroduodenoscopy), panic. There are many tips on how to stay safe in EGD. Some of them really work, some do not. Besides doctors, assigning research, give recommendations on training for it. Smoking and taking alcohol is banned. Strictly speaking, Smoking is not under an absolute ban, but it causes vasospasm and excessive nervousness. Better to do EGD to postpone cigarette. You must breathe only a nose. If you try to breathe through the mouth, the saliva, which is abundantly secreted during gastroscopy can get into the respiratory tract and cause cough. Inhale and exhale should be slow and deep. If you do the opposite, it will obstruct the passage of the gastroscope and can cause injury to the esophagus. Fear not, the medical equipment with each passing day becomes more perfect, and is currently used for EGD endoscopic tube, which does not traumatize the esophagus and delivers a minimum of inconvenience. 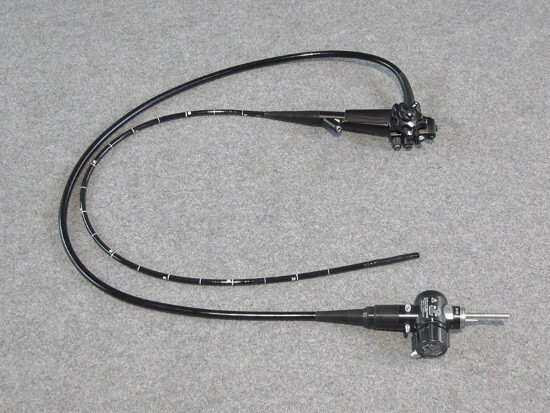 Besides, the endoscopes become thinner with each new invention. 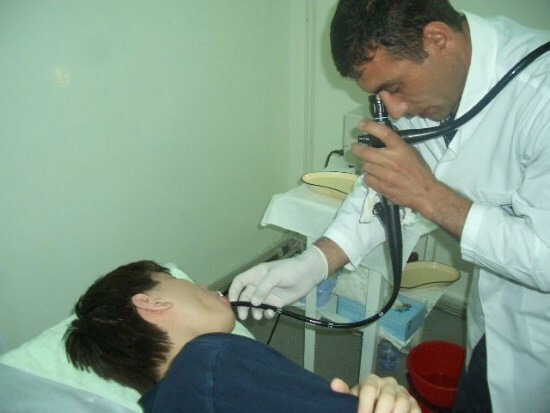 If the patient will be relaxed and breathe properly, you will have to go through just a little unpleasant moments until the doctor will introduce the gastroscope. The doctor uses a mouth guard that keeps your teeth shrink. Deep breathing quickly eliminates the gag reflex. The patient will only experience discomfort from foreign bodies in the esophagus and then into stomach. The patient lies on a couch on your left side. For the correct position you need to bend your knees to your chest and straighten the back. The root of the tongue sbrazhivaetsya lidocaine for pain relief and relief of gag reflex, which gives the ability to easily and quickly carry out endoscope into the stomach. Placed in the mouth mouth guard, or mouthpiece, with a hole for a gastroscope. The tip of the barrel, which is quite thin, lubricated with a special gel and inserted into the larynx. At the crucial moment the patient needs to swallow to facilitate passage of the endoscope. Don’t be afraid at this point, try to relax. Then the tube passes into the stomach. Depending on the objectives of the study in a cavity of the body of water or air. Water is needed to wash the body wall and identify the exact localization of the cause of bleeding. Sometimes cold water is able to stop him. The air – straightening folds and visual inspection of the body. The design of the device provides suction, which removes everything that was introduced into the stomach. At the end of the procedure the endoscope is removed. You some time will feel the discomfort but it will pass quickly, don’t worry. Some time after the procedure, you cannot drive a car because sedatives can decrease the ability to concentrate. The study accompany the discomfort, but they are not comparable to the benefit that carries this procedure. As already mentioned above, morale is the most important value. In fact, patients in most cases well tolerated in this study. Many patients who have undergone the procedure say they are more afraid than it was unpleasant. Those who are still afraid gastroscopy should understand that this study gives the most informative. It allows you to take a biopsy to examine the internal structure of the upper digestive system and to get an objective assessment of the state authorities. According to statistics, those who regularly undergo a gastroscopy, have the possibility of early detection of serious diseases. So what to cure them it would be faster. What are the cures for warts are safe and effective?